Isaac and his 5 children. Herman Daniel Leighty, the youngest of five children of the Isaac and Ethel Leighty family, was known as “Little Ike”, shortened to Ike. They were sharecropper farmers in western Illinois. In 1919, as a result of helping neighbors during a tuberculosis epidemic, Ethel contracted the disease. The family was forced to leave the expansiveness of farm life and moved to a small home on West Kelly Street in Macomb. Isaac was employed at the McClelland Laundry and took jobs as a day laborer. When Ike was five, his mother died. 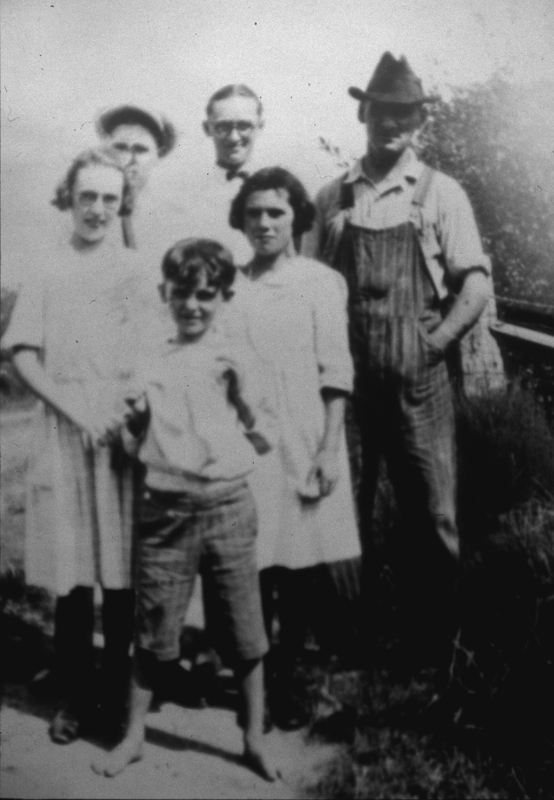 Isaac kept the family together, assisted by neighborly love and care from the Frank and Sadie Moon family. Mother Moon, as Sadie was known, melded the Leighty children with her own, seeing that they got to Sunday School, and had clothing, food, and friendship. Ike’s father died in 1935. John was Ike’s friend for 95 years. The Leighty children remained close-knit, leading productive lives that made a difference, each in their own way. 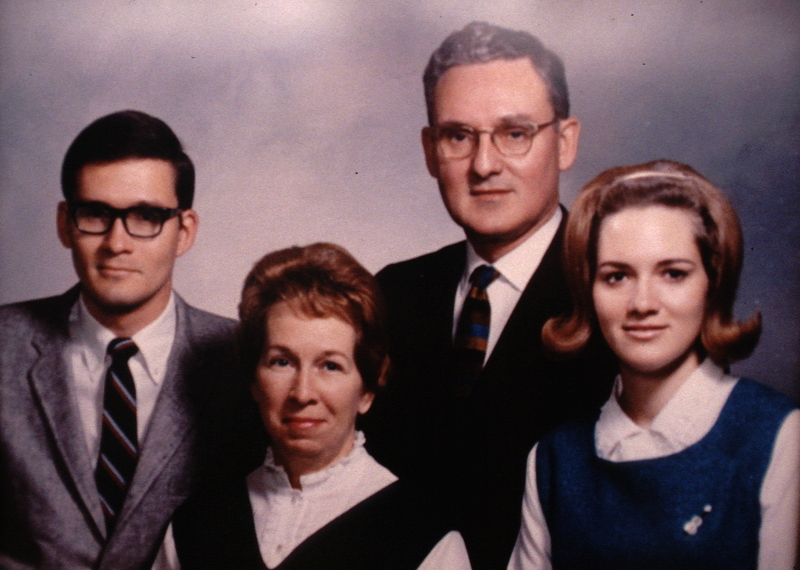 Wayne, the eldest, became a Methodist pastor, and a great spiritual mentor to the family. Marvin was a hard working steel mill supervisor in Detroit. At age thirteen, Veda took on the responsibility of mothering her siblings, and then balanced a career and her own family. Freida, who had special needs, became the focus of compassionate love for the family. 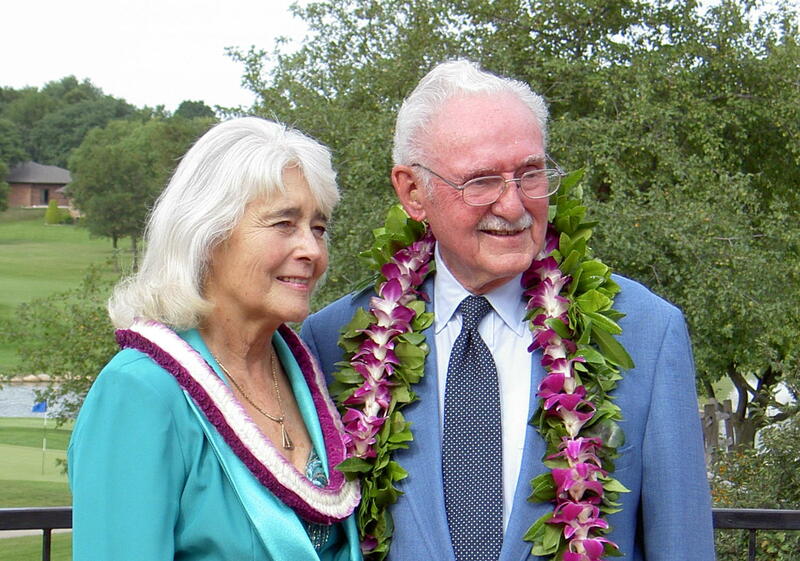 Ike became a successful businessman, entrepreneur, community leader, and philanthropist. Ike attended Iowa State Teachers College (ISTC, now University of Northern Iowa) for the school year 1934-35, where he met Marjorie Jane Gibson (Marge). From 1936-1938, Ike was a traveling salesman in NE Iowa for Burgess Battery Company. In 1938 and with Marge’s encouragement, Ike resumed his education at the University of Iowa, graduating in Business, Class of 1941. Ike and Marge were married June 15, 1941. As a contracting agent with the War Department, based at the John Deere Waterloo Works, Ike began his long career in Waterloo. 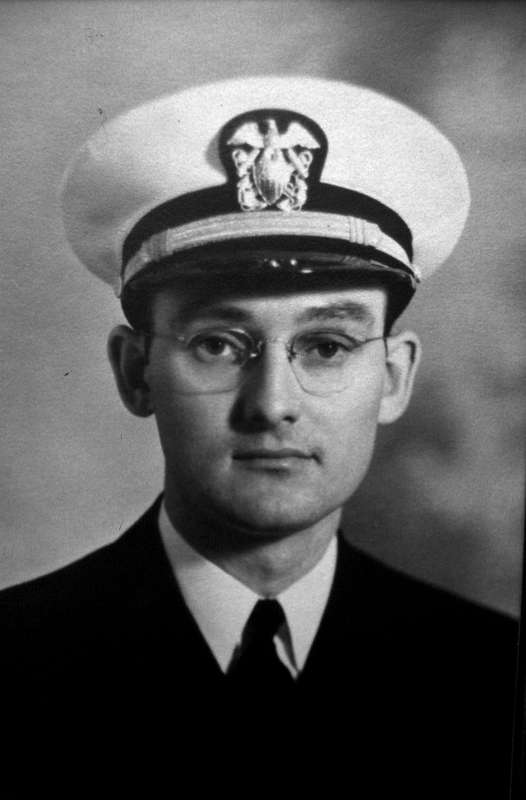 In 1944, US Navy Ensign Leighty was based in the Southwest Pacific, in New Guinea, Australia, and the Admiralty and Philippine Islands as an aviation supply corps officer. Ike referred to his WWII years as a “game changing experience” in his life. In November, 1946, as a Lt. JG, Ike returned to civilian life. At the Hinson Manufacturing Company as a salesman, he was soon promoted to Sales Administrator, in charge of finding new markets, developing new products, and managing a sales force. “Bill and Jim Hinson treated me like a third brother, bringing me into the Sunnyside Country Club and the Rotary Club,” Ike said. (L-R) Bill, Marge, Ike and Jane Leighty. With children Bill (1943) and Jane (1948), Ike and Marge moved into their new home in 1952. 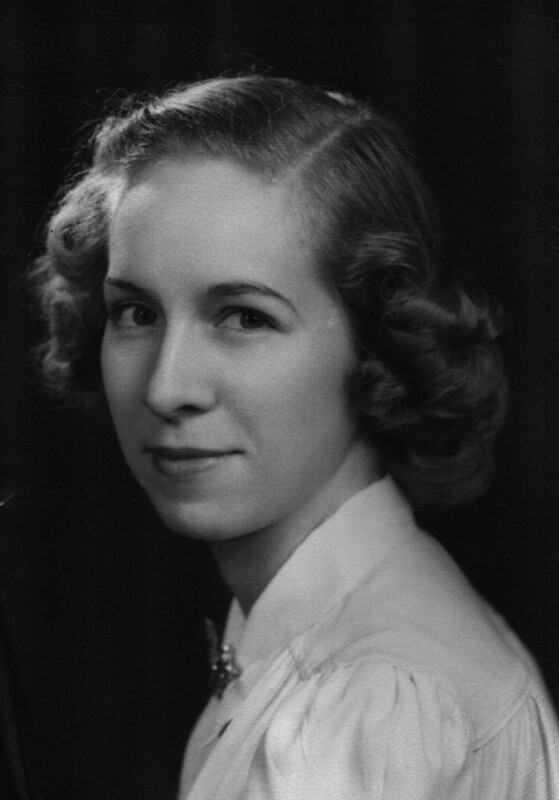 Marge was a devoted wife, mother and community participant in Waterloo and Cedar Falls where she had graduated from college. She died December 1, 1970. One of Ike’s passions was flying. 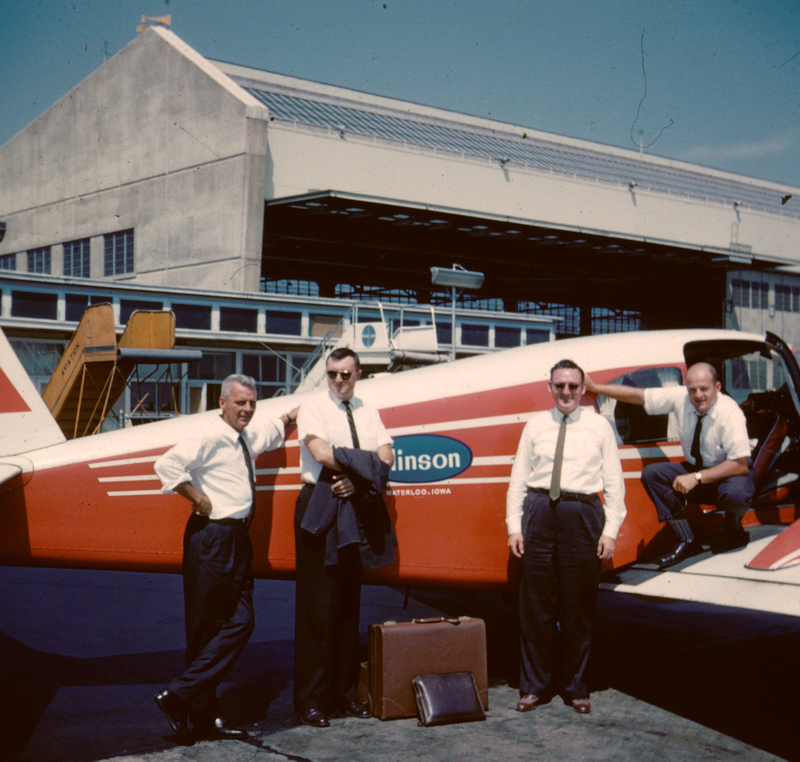 He earned his pilot’s license in 1958, logging hundreds of business travel hours in the Hinson Company planes. He flew well into his eighties, a member of UFO – United Flying Octogenarians. Ike by the Hinson Company Apache, Waterloo, Iowa. In a downsizing in 1973, Ike lost his job at Hinson. He was 58. This freed his entrepreneurial spirit to “capitalize on a negative”, to begin a new career as a solo sales and marketing consultant. Ike met Joe Nelson who had invented the Filter Minder gauge for preventing over-servicing air cleaner elements. Ike and Joe, with Joe’s wife Fran, founded Engineered Products Company (EPC) in Waterloo in 1977, and began assembling the gauges on the ping pong table in the Nelson basement. 1988 production of Filter Minder gauges. As Ike would tell it, they had a negative net worth of $64 the first year, but they made money every year after that. Ike’s decades of sales experience won orders for Filter Minders from the major truck, agriculture, and construction fleet operators, and from the Original Equipment Manufacturers (OEMs). Joe led new product design until he died in 1984. Ike bought Fran’s share of the company. The EPC team become part of Ike’s “family”. Ike sold EPC to the employees in 1989. Stewardship was one of Ike’s highest values. He held a strong commitment to sharing God’s great bounty entrusted to him by passing on the love and well-being he had experienced. 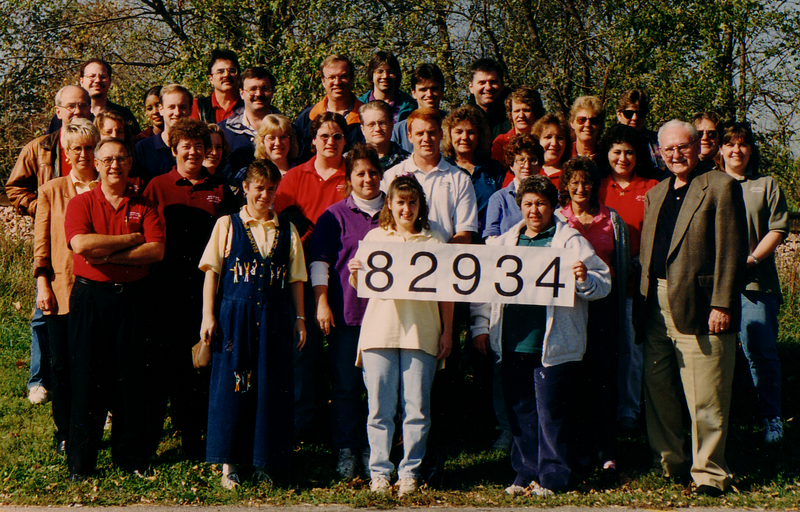 In 1985, Ike established The Leighty Foundation. 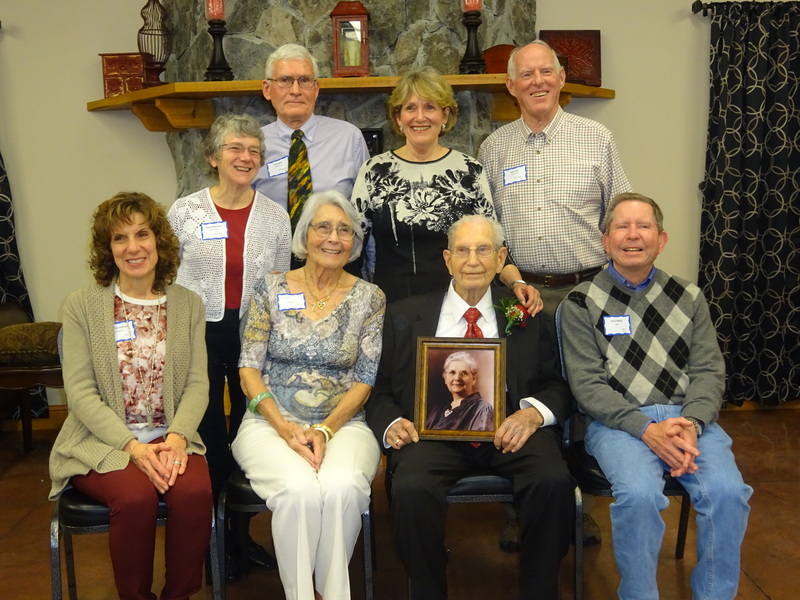 Progressively, he invited Bill, Jane, their spouses, and his grandchildren to join him on the Board. The Leighty Foundation became a way for family to join with Ike in sharing their time and talent, as well as the financial resources of the Foundation. In 2004, Ike married Emile Stingley. 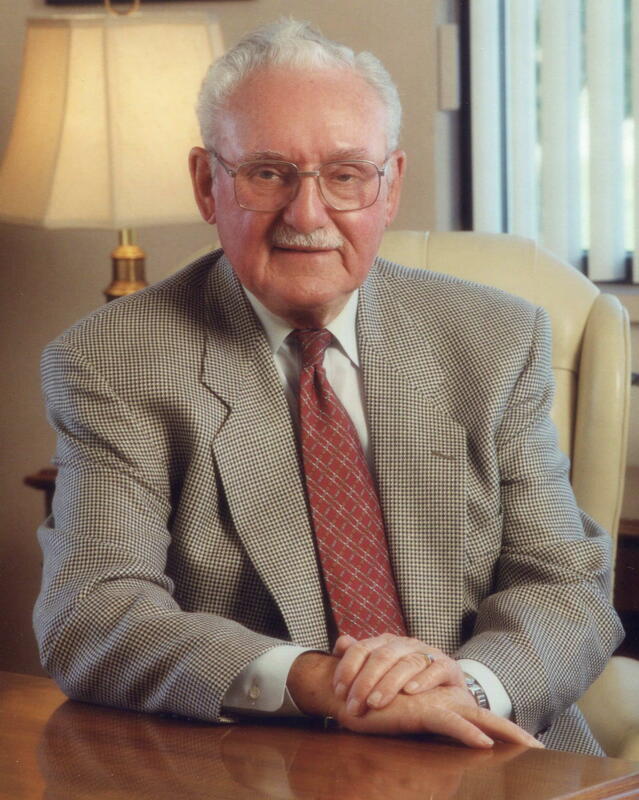 Emile became a valued Foundation advisor and family member. Ike’s final public appearance was July 21, 2015 at a Cedar Valley Chamber Alliance lunch, in Waterloo Iowa. Lunch was followed by an interview conversation with friend and retired banker Joe Vich, on the subject of “leaving a legacy”. His closing challenge to the attendees was, “May you each find sufficient purpose for the priceless gift of life.” Ike’s prayer each morning was, “OK Lord, there must be some reason You’re keeping me around another day, so let’s go do it!” Ike died at home on August 20, 2015. He was 99 years and 9 months old.